NETGEAR Business Central 2.0 is a secure, cloud based IT service platform designed to provide small to mid-sized organisations with an affordable way to establish, provision and manage key IT networking services. 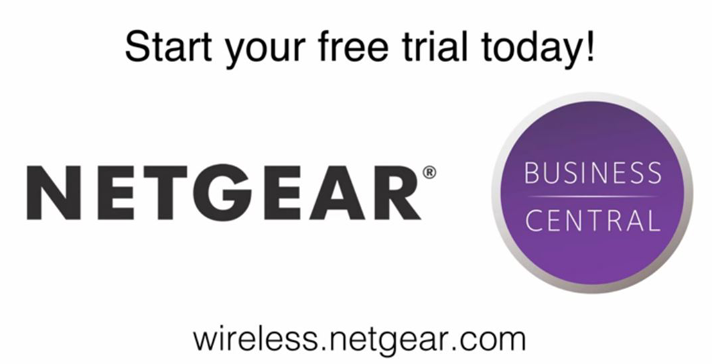 Effortlessly. .
NETGEAR® Business Central 2.0 Wireless Manager leverages Software-as-aService (SaaS) infrastructure to provide centralised control and comprehensive monitoring of all wireless access points and clients directly from the cloud. With an intuitive user interface and a comprehensive dashboard, Business Central 2.0 Wireless Manager is the optimum tool for wireless management for small to large enterprises, managed service providers, and organisations with single to multiple branch locations. Try Wireless Manager free for 90 days. Getting started with Wireless Manager is as easy as 1-2-3. Step 2: Make sure your compatible ProSAFE Access Point* has the latest Cloud enabled firmware. Visit the support section for your chosen AP for firmware links. Click here to visit the support section. Step 3: Using the serial number of your AP, assign it to your account and connect! From there, assign additional configuration and user profile privileges, including management of purchased License tokens from an authorised NETGEAR reseller. 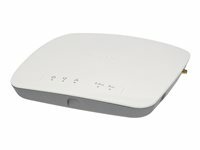 *Current ProSAFE branded Access Points that are compatible with Business Central Wireless Manager include ProSAFE WNAP210v2, WNAP320, WNDAP350, WNDAP360, WNDAP660, WAC720 & WAC730. Single Sign On with MyNetgear.com simplifies ownership of all your NETGEAR products and services by bringing them all under one umbrella for registration and support purposes.